Named after our grandmother, the famous Ranier Red is a sweet red wine with the taste of freshly picked grapes. Its intense grape character owes its beautiful fragrance primarily to the Native American Concord Grape. With a sweetness level of a dessert wine, it is perfect with walnuts and stilton cheese. Made every year at our winery since its inception over 86 years ago, it enjoys a very loyal following that grows every day! For the sweeter palette, it is the most intense of the Ranier collection. Named after our grandmother, the famous Ranier Red is a sweet red wine with the taste of freshly picked grapes. Its intense grape character owes its beautiful fragrance primarily to Native American Concord Grape. With a sweetness level of a dessert wine, it is perfect with walnuts and stilton cheese. Made every year at our winery since its inception, over 78 years, it enjoys a very loyal following that grows everyday! 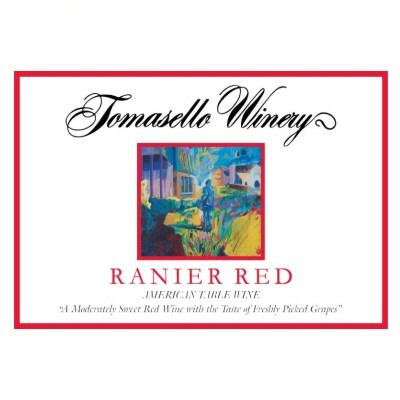 For the sweeter palette, it is the most intense of the Ranier wines.